For each survey, you'll see approximately how long it takes to complete, and how many SB points you'll get when you complete it. You can rack up lots of SB points quickly, and then redeem those SB for free gift cards to places like Amazon, Starbucks, and PayPal! 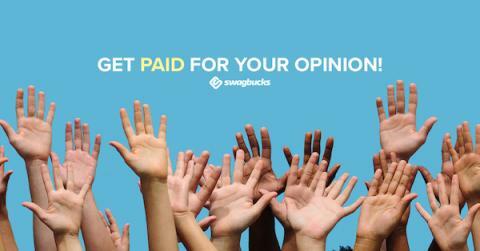 You can fill out a survey profile and then answer additional questions that will help Swagbucks deliver surveys that you're more likely to complete. You get 2 SB for every 10 questions you answer! Swagbucks actually works - I usually earn $50-$125 in Amazon gift cards each month, and love using it to buy things for my dogs and household renovations. We are creating a new dog area in my backyard, and have bought so many fun things to decorate with!